Steve speaks with Dan Cohen, Executive Director of the Digital Public Library of America. 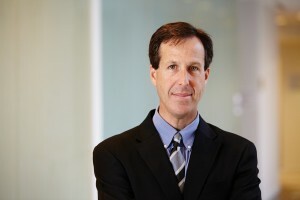 Dan Cohen is the Founding Executive Director of the Digital Public Library of America, where he works to further the DPLA’s mission to make the cultural and scientific heritage of humanity available, free of charge, to all. Prior to his tenure, Dan was a Professor of History and the Director of the Roy Rosenzweig Center for History and New Media at George Mason University. At the Center, Dan oversaw projects ranging from new publishing ventures (PressForward) to online collections (September 11 Digital Archive) to software for scholarship (the popular Zotero research tool). His books include Digital History: A Guide to Gathering, Preserving, and Presenting the Past on the Web (with Roy Rosenzweig) and Equations from God: Pure Mathematics and Victorian Faith. Dan was an inaugural recipient of the American Council of Learned Societies’ Digital Innovation Fellowship. In 2011 he received the Frederick G. Kilgour Award from the American Library Association for his work in digital humanities, and in 2012 he was named one of the top “tech innovators” in academia by the Chronicle of Higher Education. Dan received his bachelor’s degree from Princeton, his master’s degree from Harvard, and his PhD from Yale.